Using a very complicated scheme, Armenia’s new government is trying to push for a snap parliamentary election. Unpopular but necessary economic measures have led to major protests. Meanwhile, foreign partners have been pleased to work with the new leadership. On October 30, acting Prime Minister Nikol Pashinian was nominated for the second time as a candidate for premier. This was the latest in a series of complicated constitutional steps designed to move toward a snap parliamentary election by early December. As a tactical bid to block anyone else from standing forward, the move was meant to fail and to prevent the parliament from electing a replacement, because that would trigger the dissolution of parliament on November 1, in accordance with the Constitution. Under Armenia’s Constitution, early parliamentary elections are triggered only when the legislature fails twice within two weeks to vote in a replacement after the prime minister’s resignation—Pashinian resigned on October 16. Such complicated tactics are part of a broader strategy by the government to move ahead with new parliamentary elections much sooner than originally planned and are also aimed at sidestepping obstruction by the former ruling Republican Party and its allies. The move also follows a rare setback for the government on October 29, which saw its bid to amend the electoral code for the coming election fail by only one vote, after votes from two key tactical allies were not forthcoming. That latter development raised fresh questions over the reliability of a marginal party like the Armenian Revolutionary Federation-Dashnak (ARF-D) Party. Several hundred workers from a copper smelter in the northern Armenian town of Alaverdi blocked a major highway on October 19 to protest the closure of the facility after the Armenian government enforced strict environmental regulations and fined the plant US $800,000 for exceeding air pollution caps. The closure came after the firm’s parent company, the Vallex Group, claimed that it could not afford to pay the fine and moved to dismiss the nearly 640 workers at the smelter. The move also followed a similar problem for the Vallex Group, which had enjoyed preferential treatment under the previous government, but was recently stripped of its ownership of Teghut, the country’s second largest copper and molybdenum mine. This happened when VTB, a Russian bank, seized the mine after the Vallex failed to repay a US $380 million loan. The closure of that mine led to some 1,200 workers losing their jobs. On October 4, Finance Minister Atom Janjughazian warned that the country’s public debt was likely to increase by roughly 3% in 2019 and was expected to reach some $7.3 billion next year. Although the minister sought to minimize the impact by explaining that the overall level of public debt would still go down relative to the country’s GDP, he noted that the debt-to-GDP ratio was still projected to be roughly 55% for 2018. 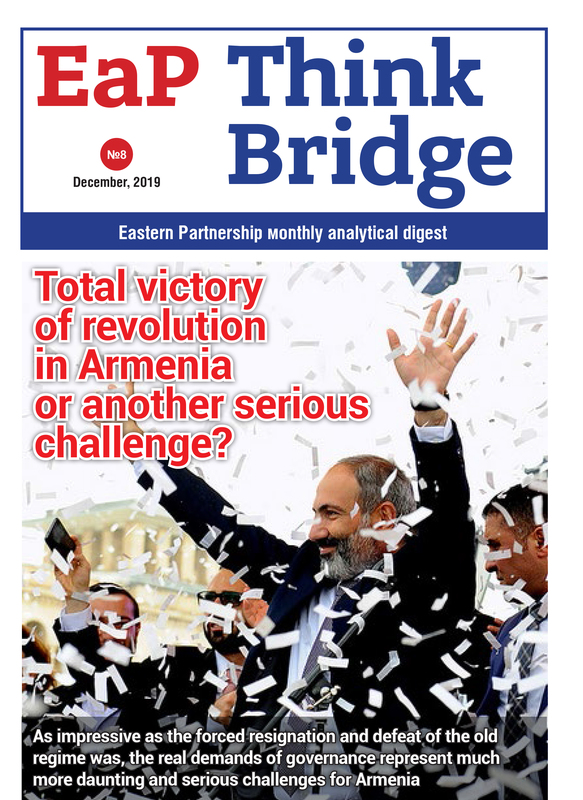 Janjughazian said Armenia’s government and Central Bank would owed a total of US $7.1bn, mainly to foreign creditors in December 2018, up from almost US $6.9bn in January 2018. The combined debt went up US $863.5mn in 2016 and another $832.5mn in 2017. The minister neverthelesss defended government plans for more state borrowing, adding that it was crucial in order to finance the state budget deficit, which is projected to be about 2.2% of GDP in 2019. The draft state budget for 2019 recently approved by the Pashinian Cabinet allocates 85 billion drams, around US $176mn, to service debt. This is roughly equivalent to 5% of total planned spending. Arriving in Armenia on October 24 in the second part of a three-country regional visit, US National Security Advisor John Bolton met with Armenian officials to discuss a number of issues. As the highest level US official to visit Armenia, Bolton pressed the Armenian government on its relationship with Iran, which has been coming under greater scrutiny by the Trump Administration. Bolton also sought to enlist Armenian support to apply “maximum pressure” in order to “squeeze Iran,” warning that Washington also intended to enforce tightened sanctions “very vigorously,” and noting that the Armenian border with Iran would be “a significant issue.” Bolton further criticized an Armenian decision to support Russian-led “reconstruction” and “humanitarian” efforts in Syria, while holding out the promise of “considering” buying arms from the US. The Armenian government also faced additional pressure over the Nagorno-Karabakh conflict when the NSA suggested that the coming to power of a more democratic new Armenian leadership meant that such a mandate only demanded “leadership” to move the peace process forward. Russia criticized the US’s pressure October 29, accusing Bolton of trying to damage Armenian-Russian relations. Strangely, the Bolton visit followed the arrival in Armenia of President Trump’s “private lawyer” Rudolph Giuliani just days before, on a “private visit” to attend a conference devoted to the Russian-led Eurasian Economic Union (EEU). During his stay Giuliani hailed Armenia’s potential role as a “bridge” between the Eurasian Union and the EU. In a statement issued on October 16 at the close of his visit to Armenia, US Deputy Assistant Secretary of State for European and Eurasian Affairs George Kent announced that the US would initiate a new round of high-level “strategic discussions” with Armenia in early 2019, aimed at strengthening bilateral relations and deepening support for reforms in Armenia. The senior State Department official added that, although Washington had already provided Armenia with US $14mn in additional aid after the change of government in May 2018, it intended to further support the Armenian government’s anti-corruption efforts and programs to diversify the domestic economy, including a focus on improving the investment climate. Kent expressed concern, however, over the ongoing disruption of operations at the Amulsar gold deposit in southeastern Armenia, which was developed by Lydian International, an Anglo-American company. The roads have been blocked since late June by environmental protesters opposed to the gold mining operations at the site. In the latest sign of EU support for the Armenian government, Ambassador Piotr Switalski, head of the EU Delegation in Yerevan, announced a new aid package of US $3mn in EU funding to help finance pre-term elections for a new Armenian parliament. The funding for the country’s snap parliamentary election planned for December, follows an earlier round of EU assistance of some US $7mn that was provided for the last election, in April 2017. That funding was largely used to pay for electronic voter authentication devices and cameras in polling stations throughout the country. According to Switalski, this latest round of aid will also be used for voter identification and web-based cameras, and is to be provided by the European Commission and three EU member states: Germany, Britain and Sweden. Armenia successfully hosted a symbolically significant two-day Francophonie summit, with leaders from over 40 mostly French-speaking counties concluding their meeting on October 19. Hailed by Armenia’s PM as an event that raised Armenia’s international profile, the summit was attended by French President Emmanuel Macron and Canadian Prime Minister Justin Trudeau, who joined other leaders in Yerevan. The Francophonie group consists of some 54 member states where French is spoken or with “a special affinity” toward French culture, including many former French colonies.